HCA is continually growing its areas of expertise to better meet client needs. One particular area is Aboriginal Health and the workforce that supports Aboriginal health initiatives. Since 2005 we have completed numerous projects in this field often collaborating with highly acclaimed Indigenous associates, such as Murawin (see news item for details). Our first project in this area was in the Northern Territory when we were commissioned to review the policy settings and the eligibility & assessment criteria for Remote Area Grants (RAG) provided to support remote GP positions in the Northern Territory. This was a small project that led to a set of more substantial projects looking at the workforce that supports Aboriginal primary health care services. 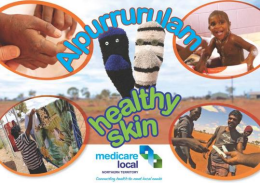 The first of these projects studied the current and potential future situation for the Northern Territory’s iconic Aboriginal Health Worker workforce. The second looked at developing a Framework to improve the availability and quality of all workers delivering Aboriginal primary health care services, in both Government and Community Controlled services. The Northern Territory Aboriginal and Torres Strait Islander Home and Community Care (HACC) Training Resource Project, which identified the competencies required by workers in remote Indigenous community HACC services, established training programs, gathered and assessed appropriate training resources and developed a range of resource databases to support training providers. The Aboriginal Health Early Childhood Oral Health Project, where the competency needs of NSW Aboriginal Health Workers to identify oral health problems and make an appropriate referral were detailed, a short course curriculum constructed, and an accompanying trainer’s guide designed. HCA developed competency standards for NSW Health’s Aboriginal Public Health Training Initiative, a three year program that supports Aboriginal trainees obtain a Masters in Public Health at the same time as building through on-the-job experiences broad public health expertise. HCA is a highly competent lead consultant with sound negotiation and consultation skills and a constructive manner … they have an in-depth knowledge of the picture of Aboriginal primary health care and … are patient and effective cross cultural communicators who appear enthusiastic with work in Aboriginal health … HCA produces good quality reports with sound insights and relevant recommendations for action. “ Department of Health & Ageing: Health Management Advisory Services (HMAS), Organisational Review Services (ORS) & Governance Service Delivery Management Services (G&SDMS) Panels”.